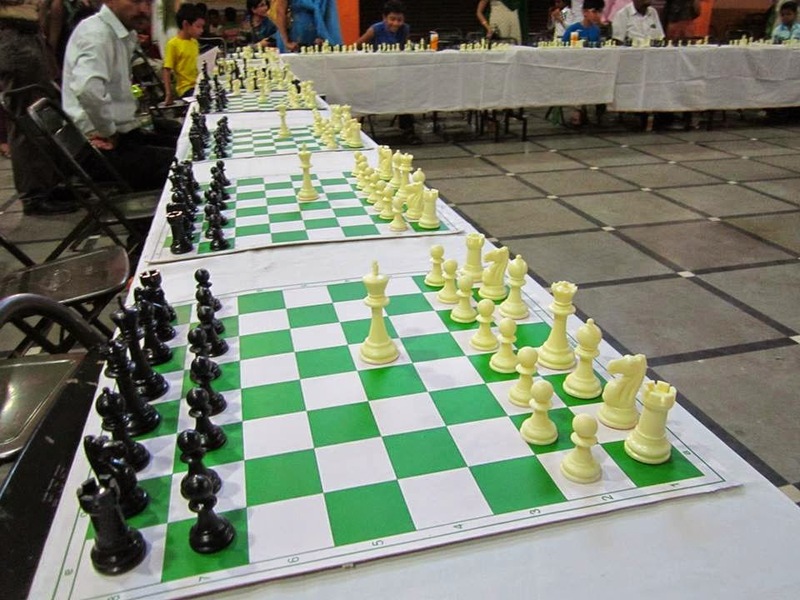 Apart from tournaments, there are other forms in which Chess is played. One of such forms is simultaneous exhibition. It is an event in which one player, typically of higher rank plays multiple games at a time with a number of other players. 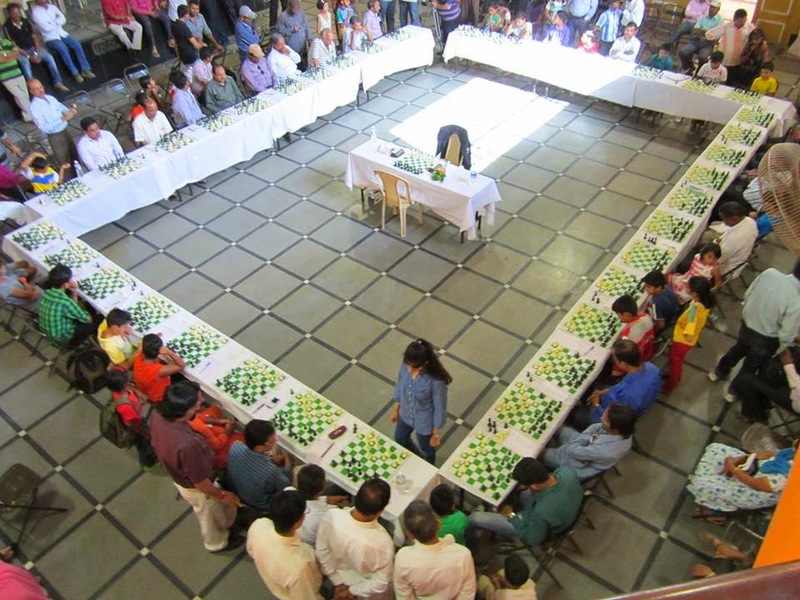 Such an exhibition in Chess, is often referred to simply as 'simul'. Events like these are generally organized to publicize the game. Generally, in such an event the boards are arranged in a large square with continuity, and the exhibitor walks from board to board in a fixed order. Each player is expected to make a move when the exhibitor arrives at the their board. 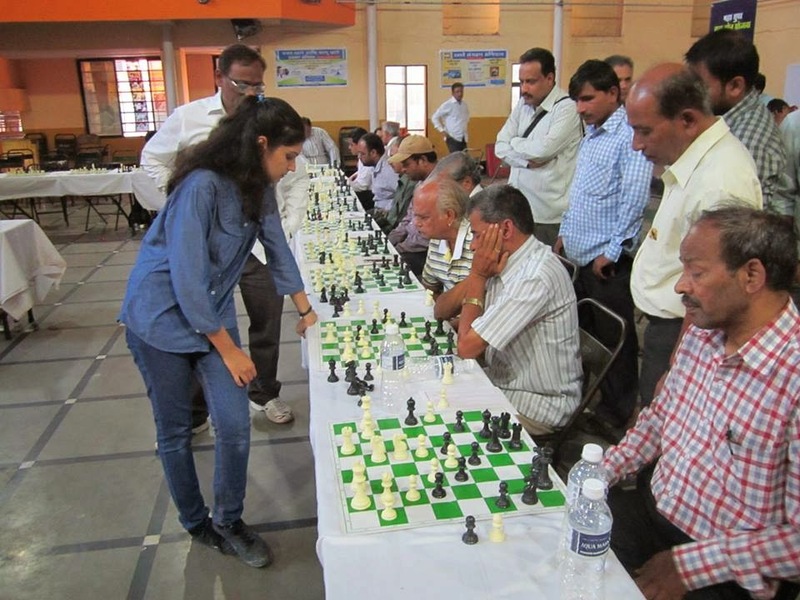 In simul events, usually the exhibitor plays against around more than 20 players a time, where each player plays on a different board. So when I'm playing, my opponents would be seated with individual boards. I have to make a move on one board, go to the next board - play and so on. So I will get only around 10-20 seconds to make my move on each board! But my opponents will get enough time to think, as they have to play only after I finish playing my move on each board and complete the round. 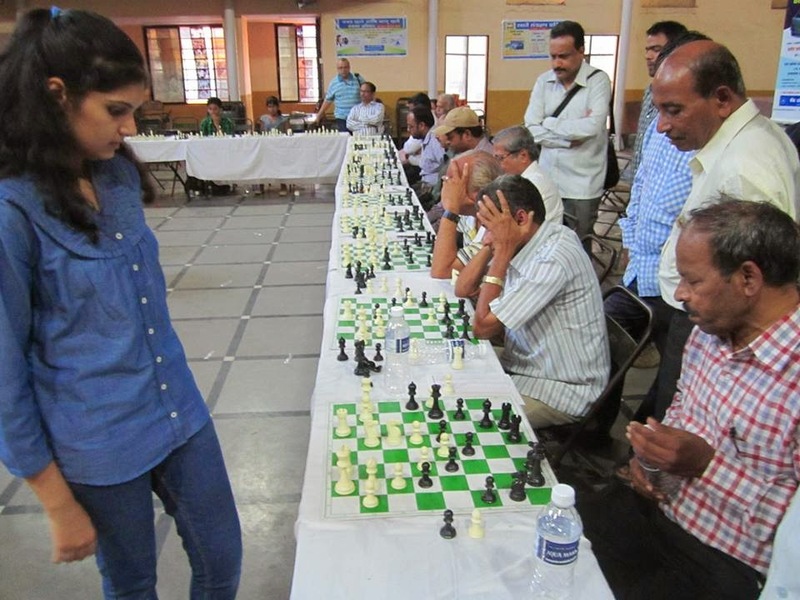 A simul of 30 players goes on for around five hours. All this time, the player who is giving the simul has to continuously keep walking from board to next board. 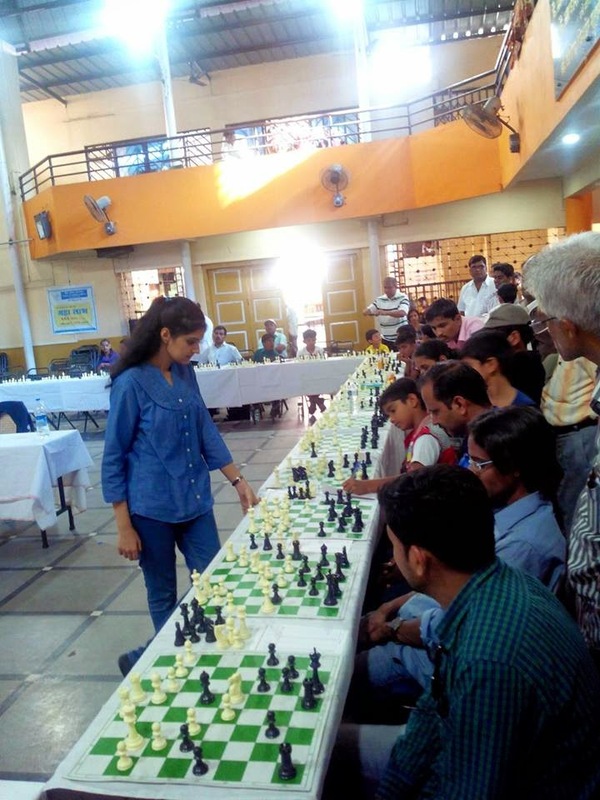 So what qualities does a player need to play a successful simul event? 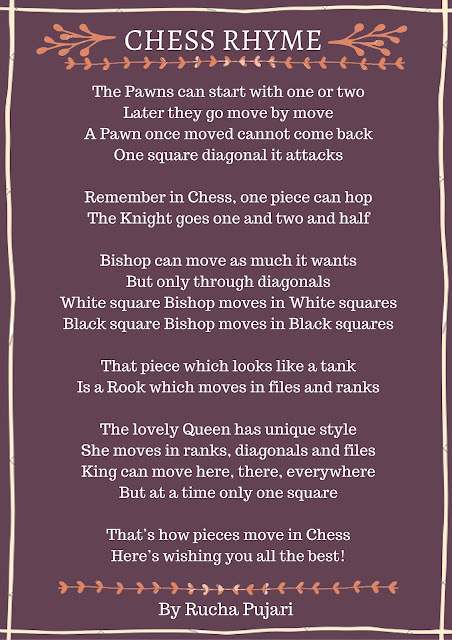 First, you have to be a good chess player. You have to play good and technical Chess, in order to win on all the boards. Second thing is stamina and fitness. You need that in order to play and keep walking continuously for five hours, right? Then you have to be good at decision making and intuition. Because you are expected to make a move in around 10 seconds! Such events are generally open for the public. Anyone can come, watch and be a spectator. 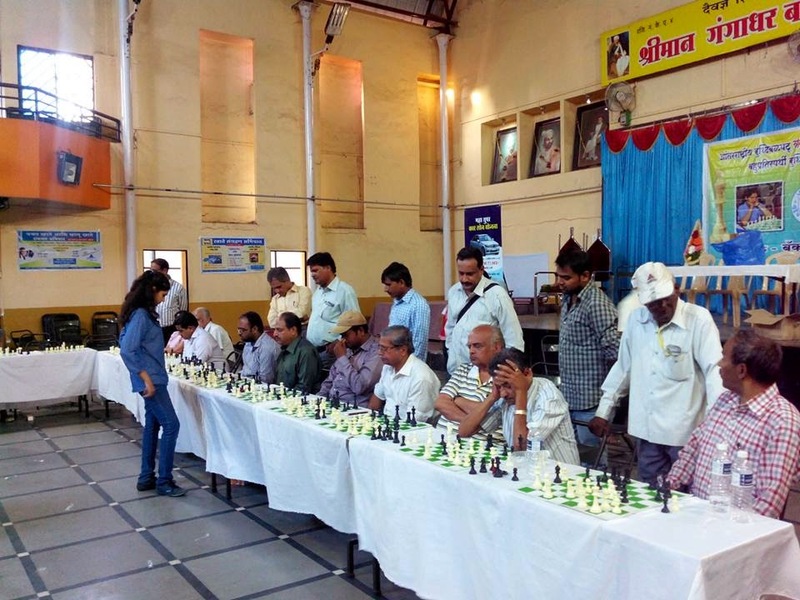 Because the main idea of organizing a simul event, is to publicize the game. 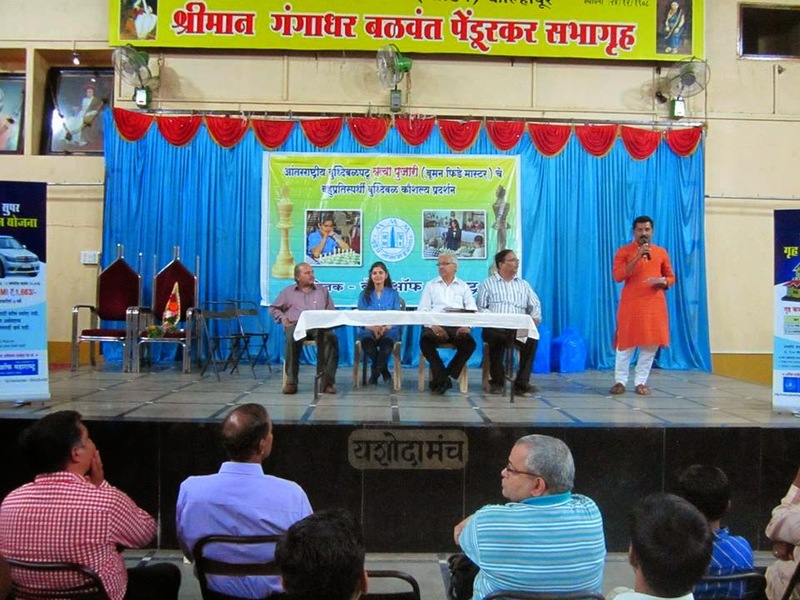 Simultaneous Chess Event was organized on 14th May 2014 in Kolhapur. 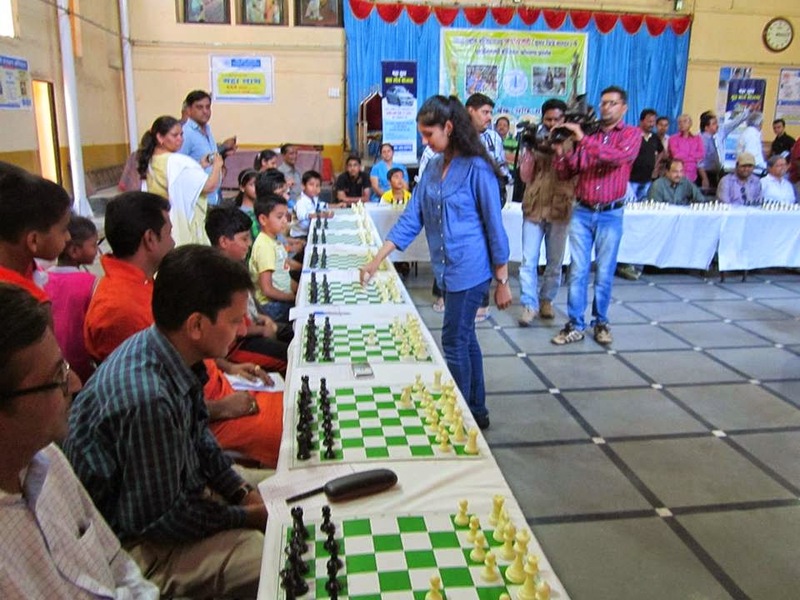 The event is formally inaugurated by making a move on the board. 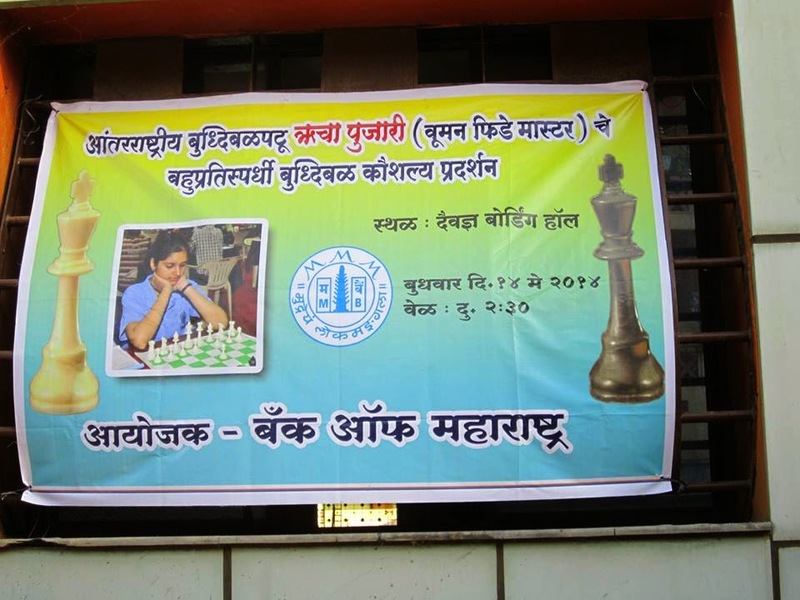 One of the important reason for organizing this event was to publicize Chess. Events such as this, will definitely help to reach a wider audience. All the 38 players are ready to fight against me! 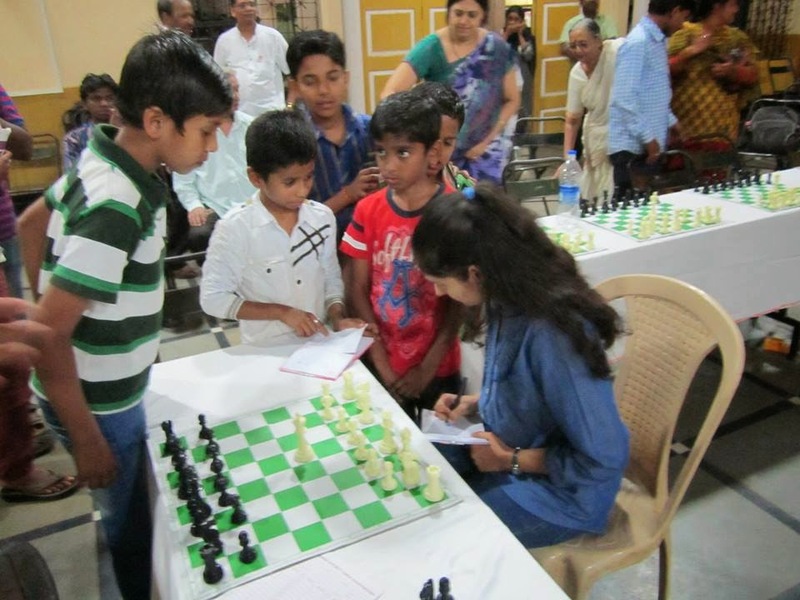 The event was open to all, hence players - young & old, rated & experienced, students & enthusiasts, entered this event with good hopes. 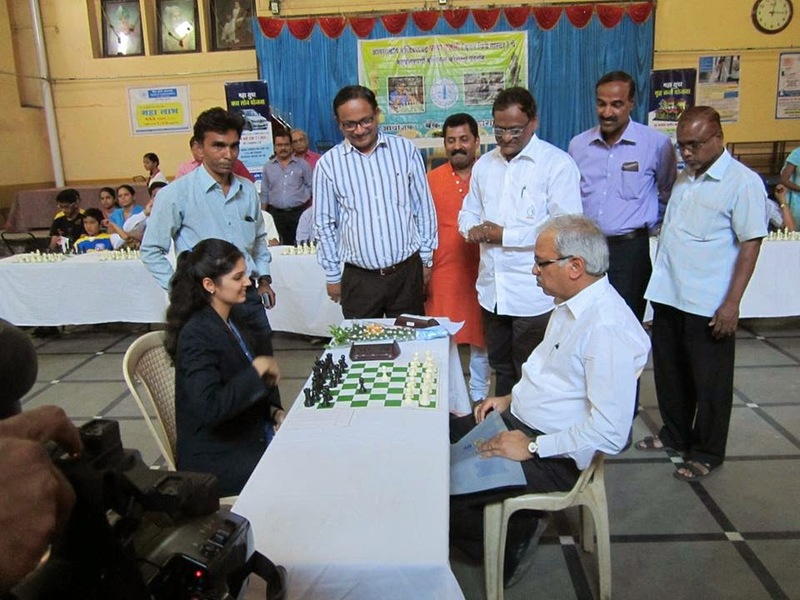 This simul was received well by the audience and people visited the event in large numbers. There were many good and hard-fought games. I had to be careful with my every move. It is interesting to see everyone absorbed in the games, even the spectators! 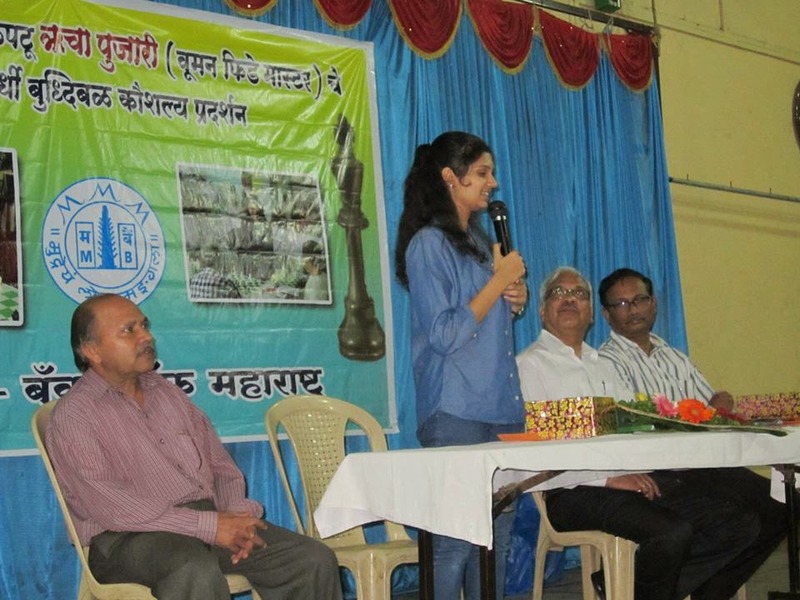 I would like to thank the Bank of Maharashtra for organizing this wonderful event. Writing a message to the youngsters. I definitely enjoy this part! After hours of play, it was time for the closing ceremony. The two players who drew were given prizes. 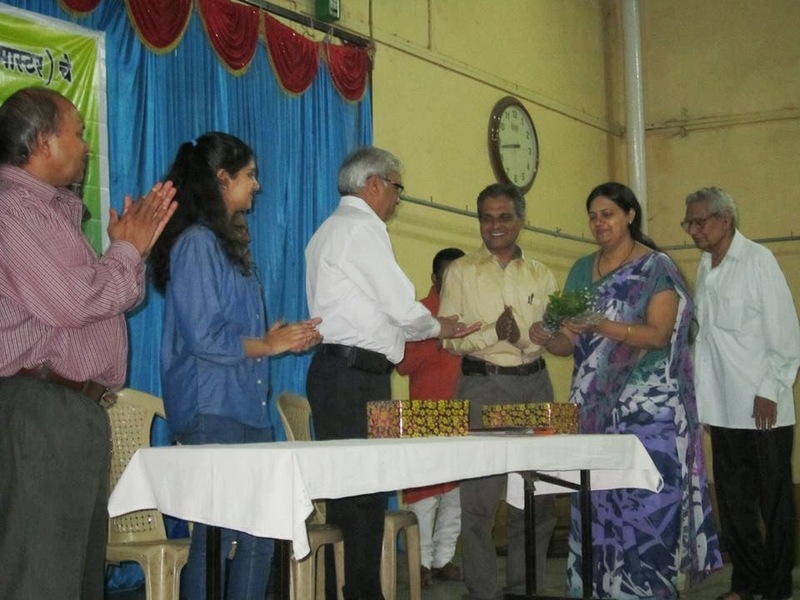 My parents receiving a small token of appreciation. Expressing my views regarding the entire event and the games. 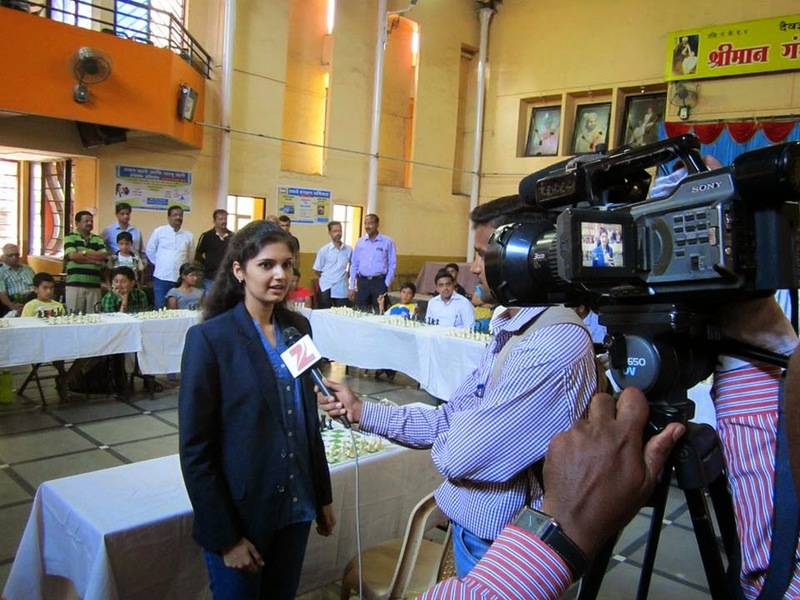 Media gave a good coverage to this event. 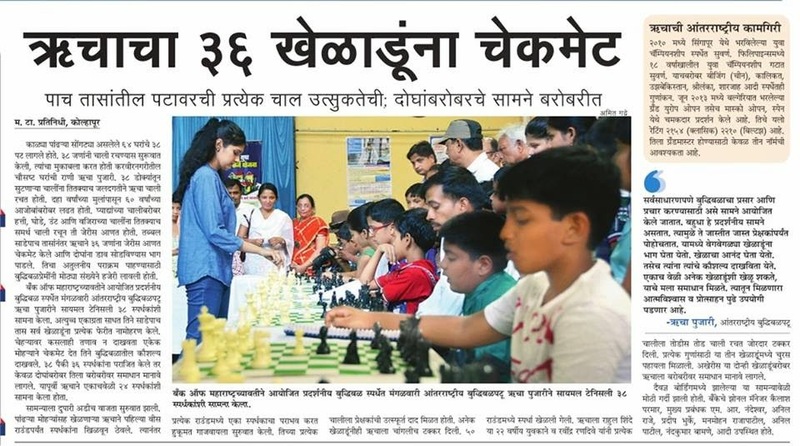 This is a paper cutting from Maharashtra Times, 15th May 2014. Paper cutting from Sakaal, dated 15th May 2014. Impressive! If you can do a simultaneous display like this, surely you must be good at 'multitasking' no?